When you break a bone in your spine, this is known as a compression fracture. These fractures occur when part of the bone collapses, which can cause significant pain. At Balanced Health Medical, our Midtown Manhattan chiropractor offers chiropractic care for those who have pain in their back and neck due to compression fractures. Compression fractures can affect any part of your spine, but they typically happen in the lower or middle spine. While there are different kinds of fractures that can occur, wedge fractures are more common. When you have a wedge fracture, the front part of your vertebra collapses while the back part stays in place, forming a wedge-like shape. You can also have multiple compression fractures, which can cause spinal deformities. Although having a spinal bone collapse sounds painful, it is not always so. In some cases, these fractures do not cause any noticeable symptoms. However, compression fractures can result in pain and other symptoms that affect your everyday activities and quality of life. 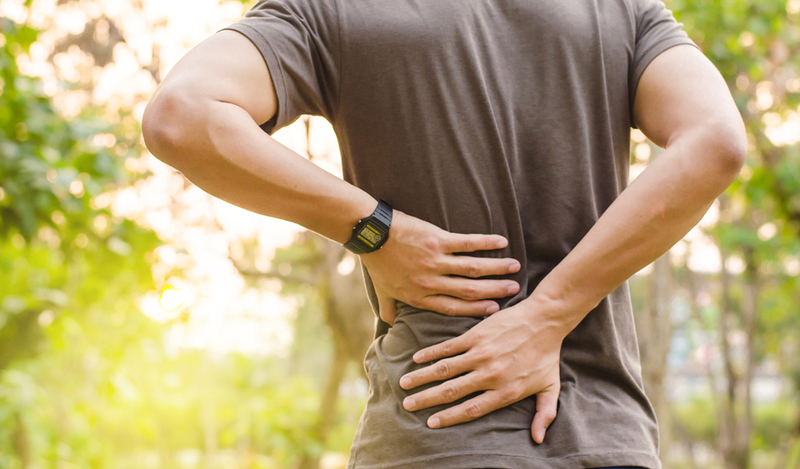 Common symptoms include pain that affects your back, legs or arms, especially if the fracture occurred in the lower or middle part of your spine. You might also have weakness in your legs or arms. If you have a fracture in the upper part of your spine, you might have neck pain. Compression fractures can occur due to different causes. You might have a fracture if you have osteoporosis, a condition that weakens your bones. Less common causes include infections and tumors that affect the spine. These fractures can occur suddenly, but they usually develop gradually over a number of years. Conventional treatments are not always enough to ease pain and promote healing. Chiropractic care at our Midtown NYC location can provide you with relief from pain and other symptoms. Our chiropractor will adjust your spine to make sure that it is properly aligned, which removes pressure from nerves and promotes natural healing processes in your body. These adjustments promote healing and reduce your risk of having symptoms occur again or become a source of chronic pain. Our chiropractor might recommend other forms of care at Balanced Health Medical as well. If you have had a compression fracture, please get in touch with Balanced Health Medical at 212-755-1717 to set up an appointment. Our chiropractic doctor in NYC can provide you with safe, effective care to reduce pain and other symptoms. Our office is located close to the Upper East Side just minutes away from Rockefeller Center in the 10022 ZIP code.